We made a stop at this single mother of fives house to get a lesson in making a fried turnover filled with a bean mix. 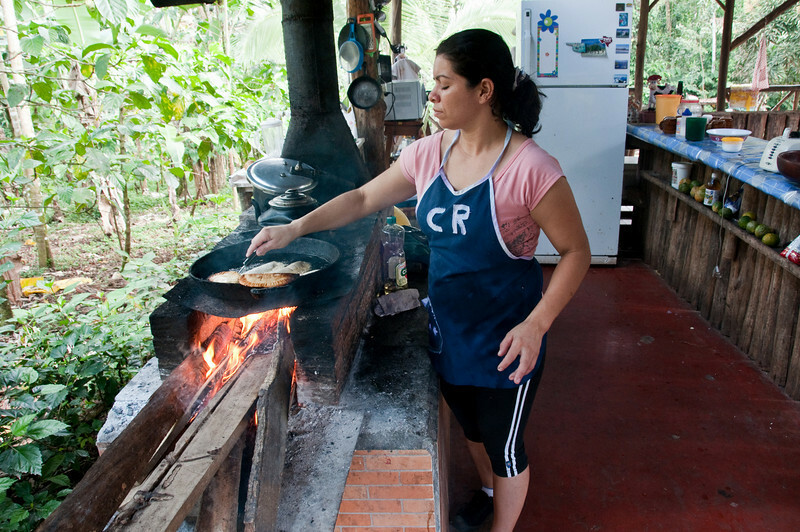 Her home was very basic with an outdoor kitchen and a wood cooking stove. The stove was interesting as you can see it has a long firebox and you feed full lengths of wood into it. How far you push them in equals how much of the stove is heated. Frying the impanadas we made in oil.